Ukraine’s $3 billion debt to Russia could undermine the IMF’s four-year multibillion dollar bailout program. If the debt is considered official, it will breach the terms of providing financial assistance, said IMF spokesperson William Murray. 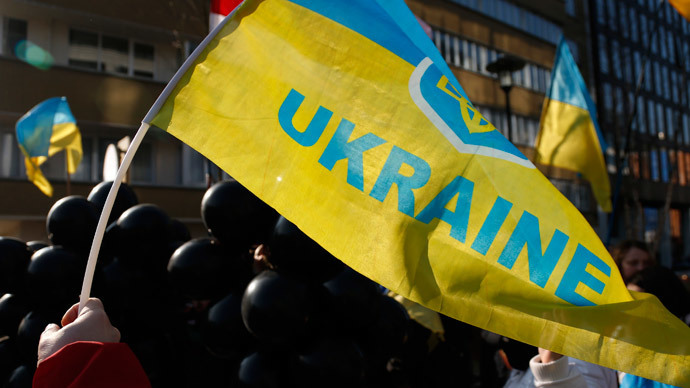 The Ukraine debt includes $3 billion in Eurobonds lent by Russia to the country’s previous government in December 2013. IMF rules say a bailout cannot be provided to a country if it defaulted on a loan from a state institution. "We have a non-tolerance policy," William Murray told reporters at a news conference on Thursday, adding that Ukraine's debt to Russia should be considered state debt. "If I'm not mistaken, the $3 billion Eurobond comes from the Russian sovereign wealth fund, so it's official debt," he said. However, the IMF hasn’t yet clarified its attitude towards the whole matter, Murray said. If Russia rejects the possibility of restructuring Ukraine could face imminent default, placing the IMF in an awkward situation. Russia's Finance Minister Anton Siluanov said Friday heconsiders Ukraine’s $3 billion debt official. "Russia is definitely acting as the official creditor in this case," Siluanov said. Talking about the possibility of settling Ukraine’s debt to lenders through the Paris club of creditor nations, he said that Russia received no official information about Ukraine talking to the club. Earlier in March the IMF approved a $17.5 billion loan to Ukraine as part of the four-year bailout program in exchange for the economic, budget and monetary reforms. The country has received an initial $5 billion payment. The fund has repeatedly warned that violations of the ceasefire in Ukraine’s south-east, along with its failure to reschedule the debt to private lenders could also pose a substantial risk to the implementation of the bailout program. There are two possible ways Ukraine can save the situation with its debt – either to renegotiate the Russian loan through the Paris club of creditor nations, or sell it on the secondary market, so that it would no longer be owed to Russia.